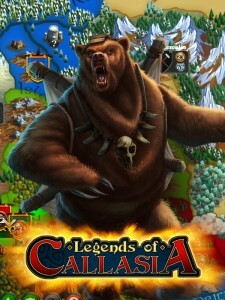 If you love to thrusting yourself into a great Multiplayer Strategy game, then The Legends of Callasia Is definitely one to try for 2016. The graphics and general game play are pretty impressive, along with the layout of the Maps and general playability factors. The cross operating / device functionality adds a huge WOW factor, as people on IOS, Computer & Mac can all play against each other. The potential of this fantastic strategy game is huge, and we do not doubt that the game will be a huge success around the world. The conceptual elements are out of this world, with the occupation of enemy lands being the driving force for online multiplayers to grapple with. Boomzap have clearly spent a lot of time and energy of creating this Awesome game, they clearly have a gifted creative tech team. We have also compiled a Review System for this game, of which the The Legends of Callasia is Rated as Five Stars, the highest possible score available from the Game Reviews Team. More details can be found on all of the following resources. As you all know Monopoly is board game that has been a family tradition for many of years now, except the game usually lasts far too long and when you get into it you don’t want to stop “it’s that addictive”. Well now it’s an interactive game with Monopoly Streets, you can now play against other people online from around the world, fighting for auctions at your very own property auction. This element of Game Play adds to the excitement levels compared to the typical classic board game, making this game much more fun to play. This new way of playing Monopoly Streets has definitely made an impact, it gives a more real life feel to it as it’s based in a city with cartoon character, which you get to choose which one you want to be. You throw a dice and then the character will move along with the chosen (boot,dog,car) item. If you play online with your mates you can bet against each other to win properties, we believe that this is very entertaining and changes the way you play monopoly with a great new vibe. As well as having a great vibe, great characters and gameplay are also an integral part to this great game. No to mention how precise the graphics are, the indepth detail is really fantastic, offering a very modern and realistic feel to the end user. As it’s based in a city you get to move around just like the board game, but the detail in the city is what we were mostly impressed with. It has the exact detail you would wish for or like to see from as a city itself, ensuring a fantastic gaming experience to all Monopoly and London enthusiasts around the world. 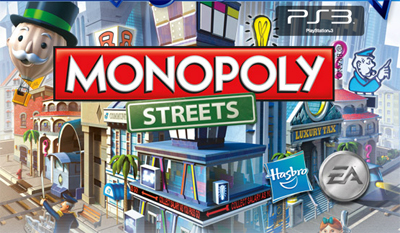 We have also compiled a Review System for this, of which Monopoly Streets is Rated as Five Stars, the highest possible score available from the Game Reviews Team. 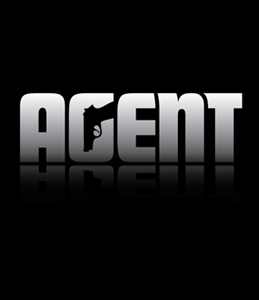 The Rockstar game developers have created a fantastic new Playstation 3 console game, the Agent Game is by far a fantastic new edition to their games portfolio. The graphics are simply out of this world, with a wide spectrum of realistic scenes and great player control to match. The Game we have tested is for the PS3, so it may be only available to fellow gamers on this type of console. We have spent over 8 hours testing this game, and we absolutely enjoyed the whole game experience. The world of Counter Intelligence comes to life, with outstanding game play elements throughout each and every level. The excitement factor is world class, with assassination and espionage playing modes that simply stand apart from any other game of its genre. The game itself has been comprehensively thought out by the Rockstar game developers, so much so that we are almost lost for words regarding just how good this game is. We have also compiled a Review System for this, of which Agent Game is Rated as Five Stars, the highest possible score available from the Game Review Team. Get ready for an exploration bonanza in this all new game from Black Lime Games which takes players to all four corners of the world in search of the adventure of a life time. If you would love to explore jungles or ice caverns then this game is most definitely for you as it is jam packed with many of the most stunning locations on the face of the planet. Kate Arrow Deserted Wood players will be required to fulfil and complete a huge array of missions and tasks which will keep you more than busy for hours on end. We found when playing this game that we were required to keep all of our wits about us as there are many trick puzzles and so on laying in wait for you. The graphics within the game could have been slightly better but they still delivered a great gaming experience that we loved right from the word go. Overall we thought this game was absolutely brilliant and we loved every minute of playing it and cannot recommend it enough to all of our readers. 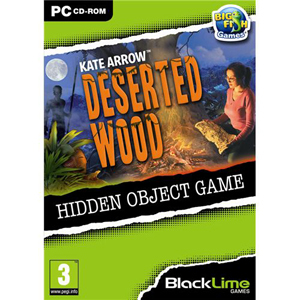 We have compiled a Review System for this, of which Kate Arrow Deserted Wood is Rated as Four Stars, the second highest possible score from the Game Review Team. The first person shooter category has never been stronger than it is today and again we see another revolutionary new game land at our doorstep so what should we expect from this game. 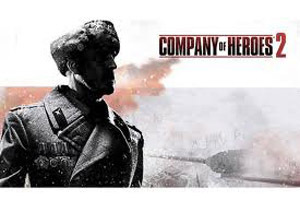 Company of Heroes 2 is set shortly after the Second World War as Russia bleeds the Germans dry and the Nazis losses are over eight million men and women. This is where the game starts as you are thrust into this environment and asked to complete a huge array of tasks as you attempt to drive the Russians out of Germany. The game is filled with dark and creepy environments that can become quite scary in some cases as the graphics that have been implemented in this game are absolutely stunning and very fresh. Game play is also very good and the characters move, aim and shoot very well which adds to the overall enjoyment of the game. The campaign is very well constructed and has so much involved within it so even without online game play you can literally lose yourself in the missions for hours at a time. All in all we have to say we loved every minute of this review and cannot recommend it enough to fans of this genre as we feel you will love it. We have compiled a Review System for this, of which Company of Heroes 2 is Rated as Four Stars, the second highest score from the Game Review Team. When we first received our copy of For The Glory the first thing we noticed was just how well the game had been created as every aspect of it seems to have been built perfectly to deliver the most realistic performance of any game from this genre. The game is filled with brilliant fight scenes as well as a highly detailed story line which leaves no detail untold which ensures players have a full understanding of what the game is about. The graphics are state of the art and some of the best we have seen with highly detailed scenery and locations as well as some of the most striking characters ever seen in a strategy based game. The thing that makes this game so good is the innovative game play which runs seamlessly throughout the game. The controls are also very easy to get to grips with and can be played by any level of gamer as they can pick up the strategies as they progress along the game. We love this game so much that we just have to recommend it to all of our readers as we are sure it will be just as much a hit with you as it was with us. 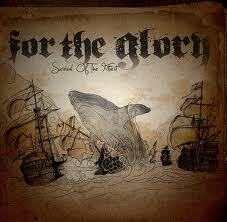 We have compiled a Review System for this, of which For The Glory is Rated as Four Stars, the second highest possible score from the Game Reviews Team. 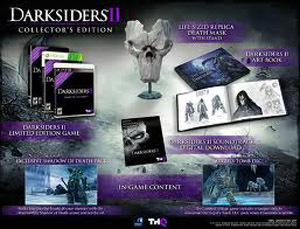 When we first got the all new Darksiders 2 game we were highly excited as after playing the original game we knew that we would be in store for something special with this new edition. The fact is we were slightly disappointed with this new addition to the series as it failed to deliver on the same level as the previous game which was gutting for us as we had such high aspirations for the game. The title continues from where the last game left off with players needing to battle their way through countless levels filled with mayhem and deadly dangers. One thing we could say about this game is that the graphics involved within it are the best feature of the game as they are simply stunning in every way from the highly detailed backdrops and landscapes to the fast paced and riveting fight scenes. It is a great shame that this title did not live up to our expectations as we had hoped for a masterpiece and this is a word we most definitely would not use to describe this game after reviewing it. We have compiled a Review System for this, of which Darksiders 2 is rated as Three Stars, the third highest possible score from the Game Reviews Team. When it comes to world war two games there is no series better than the unbelievable Hearts of Iron series which have become some of the most popular games of all time and won countless awards from leading games reviewers from across the world. Now with the third edition of this game available we have once again been treated to a masterpiece of a game which is completely captivating in every way. 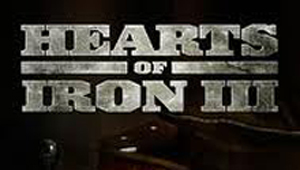 Hearts of Iron 3 throws players into the fast paced and mind blowing world of the war that changed the planet and each player will need to be on the top of their game if they are to free the land from the rule of the Nazis. The game allows players to participate in a wide variety of missions which include aviation battles, sea battles as well as many ground wars using the latest weaponry of the era. We found that this game requires players to use all of their tactical know how to win various battles across many different landscapes. The games graphics are very well created with brilliant colour schemes and highly detailed heavy armour and equipment which add so much to the overall feel of the game. The game play is an aspect that is absolutely brilliant to put it mildly as it offers the chance to be involved with one of the most contested battles ever seen in history and it is well worth adding to your collection if this genre is your thing. We have compiled a Review System for this, of which Hearts of Iron 3 is Rated as Four Stars, the second highest possible score from the Game Reviews Team. It has been a long time coming but Paradox Interactive now bring you the forth edition of the strategy based game that has changed the way we look at games from this genre. 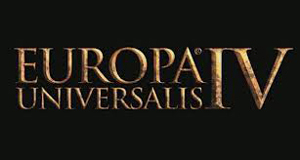 Europa Universalis 4 for those of you who have not had the pleasure of playing any of the previous editions is an empire building game which allows players to lead their countries military forces across the world in search of new colonies. We have never been that big fans of contemporary historical games but we have made an exception for this series as every single edition we have played has performed perfectly and been highly entertaining in every way. The game features beautifully crafted graphics which really do depict the setting of the game perfectly and with a continuity that has never been matched in any other game from this genre. The game is so realistic and great fun to play and we are sure it will be a huge hit with gamers all over the world. We have compiled a Review System for this, of which Europa Universalis 4 is Rated as Five Stars, the highest possible score from the Game Reviews Team. 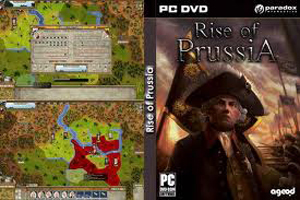 The Rise of Prussia game has to be one of the most exciting and enjoyable strategy based games we at Game Reviews have had the chance to review as with every aspect of the game we have been treated to a real masterpiece which offers the gamer so much gaming pleasure. The game is set in the seven years between 1756 and 1763 where Europe is filled with campaigns to take over various territories from the armies of Europe. What we found about this game was that it was a completely revolutionary experience which opened our eyes to the era the game is meant to depict considerably as we gained so much knowledge of this era from the game. After many hours of playing this game we have to say it is thoroughly enjoyable with beautiful graphics and some of the most innovative game play we have ever experienced in a game of this genre and this is why we rate it so highly. We have compiled a Review System for this, of which Rise of Prussia is Rated as Four Stars, the second highest possible score from the Game Reviews Team. The cold war is one of the most interesting time periods after the Second World War and there have been many games which have tried to capture the feel of this era but many of these games have failed dramatically. This though is not the case though with this all new game from the team at Paradox Interactive which builds on the huge success of the Supreme Ruler 2010 and 2020 games. Supreme Ruler Cold War Players will be faced with a world filled with espionage and deceit as they try to ensure their countries safety whilst doing all they can to avoid nuclear warfare. Players will also need to be involved with many different types of political decisions between the United States of America and Russia as both of these titanic countries head towards all out war. The game is filled with beautifully created scenes which capture the essence of the era perfectly and every bit of graphical design has so much detail on it that you could be forgiven for thinking you were watching a movie. In regards of game play this is where the game is at its best as there is so much to do throughout the game that it can have you glued to your screens for hours on end as every aspect of the game is so enjoyable. 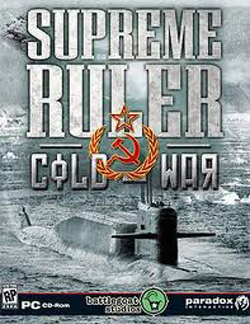 We have compiled a Review System for this, of which Supreme Ruler Cold War is Rated as Five Stars, the highest possible score from the Game Reviews Team. It has been a long time since we have been able to play a game of the likes of the all new Steel diver game so we were highly excited about the prospect of playing this game and in many ways we were satisfied when we finally got to do this but we were also a little disappointed. The game begins fine as you are charged with driving your submarine across many different well constructed under water levels as you avoid many different hazards and enemies along the way. The game has ok graphics which to be honest are nothing special as they are quite primitive and could have been made much better. The game play we thought was much better as the game progresses the challenges are much more difficult and provide a fair amount of entertainment which is the only saving grace of the game to tell the truth. We were disappointed with this game as it did not deliver what we expected but we are sure many of you may have more joy from it than we did. 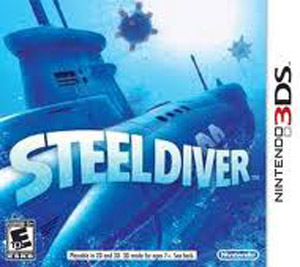 We have compiled a Review system for this, of which Steel Diver is Rated as Three Stars, the third highest score from the Game Reviews Team. 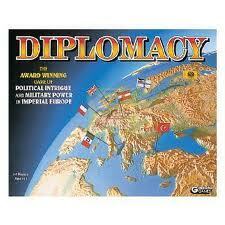 Diplomacy is the game that everyone has been talking about as it offers one of the most innovative story lines and plots seen in any game we have seen to date. The aim of Diplomacy is to lead your government through many global crises where you will need to negotiate with many foreign bodies in order to keep peace throughout the world. Of course this will not always be possible and in cases such as this players must choose when and where to deploy their military forces to enforce their policies. We found this game to be totally different than anything we have ever experienced before as it offers many aspects of game play that we could not have dreamed of in our wildest dreams. As with all the games from Paradox Interactive the graphics are highly detailed and provide the most realistic setting you could ever have thought possible. All in all this game is superb and we can now see exactly why it has become a global phenomenon ever since it was first released and we cannot recommend it enough to all of our readers. We have compiled a Review System for this, of which Diplomacy is Rated as Five Stars, the highest possible score from the Game Reviews Team. The role play fantasy game has become increasingly popular in recent years as now more and more people buy these games as they are a great source of fun and entertainment that will keep you glued to your computer screens for hours on end. This all new edition of the Dreamfall series being Dreamfall The Longest Journey takes players on one of the most challenging adventures you will ever face across many different landscapes and locations which are all designed to provide the toughest challenge possible. Unlike many other games of this genre this title gives the gamer so many more gaming choices so you can go wherever you wish at any time with no need to follow the story line. The game is beautifully created with stunning graphical content which makes the game so much more realistic and enjoyable with striking visuals coming at you from all angles throughout the game. If you love this type of game then you will be sure to love the game play in this one as it is some of the smoothest we have seen in recent years which makes the game even better all round. We have to say we enjoyed reviewing this game so much over the past week and cannot recommend it enough to fans of this genre as it is simply outstanding to say the least. 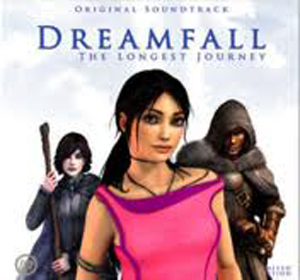 We have compiled a Review System for this, of which Dreamfall The Longest Journey is Rated as Five Stars, the highest possible score from the Game Reviews Team. The F.I.F.A Manager series has become a global phenomenon and is arguably the most successful sports games series of all time so when we first received the 2011 version of the game we were extremely excited. We have to say that the game did not disappoint in any way as once we began playing the game we could see just how much it had been improved since the last edition. F.I.F.A Manager 11 features all of the latest teams and squads which the player can lead all the way to many different titles such as domestic leagues and competitions as well as many international tournaments such as the world cup and European championship. The graphics in the game again have been improved considerably and are now more life like than ever before and this fact makes the game so much more realistic. Where this game excels is in the game play department as without a doubt it is one of the most addictive games we have ever played. The challenge of taking your favourite team all the way to the title is extremely challenging and takes a huge amount of skill and understanding of the game of football. After many hours of reviewing this game we have to say it is definitely one you should have in your gaming collection if football is your thing as it is like nothing you would have ever experienced before and we love it. Great stuff Ea Sports. 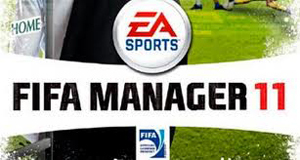 We have compiled a Review System for this, of which F.I.F.A Manager 11 is Rated as Five Stars, the highest possible score from the Game Reviews Team. 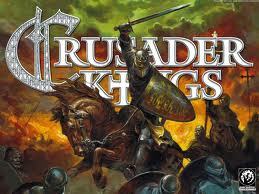 We have always loved the majority of historical strategy games especially the ones involving Vikings so we had great hopes for the all new Crusader Kings game from Paradox Interactive. You will be glad to hear that our hopes were made true with this game as we found it to be outstanding in every way possible from its innovative story line to its cutting edge graphics. Players are treated to one of the most exciting adventures to date as they are thrust into the middle of turmoil as Europe is under attack from the Scandinavian forces from the north. This has had the effect of making the pope declare all out war on the Vikings and what follows is one of the most bloodthirsty battles you will ever see in any game. Players will need to lead their forces to many battle locations and them protect their territory from these invading forces by using all of their military skills and weaponry. All of the scenery in the game is complimented by stunning visuals which really do offer the very best and realistic settings you could wish for. In summary this game is remarkable to say the least and definitely worth every penny if strategy based games are your thing and we are sure you will fully enjoy this game for many hours at a time. We have compiled a Review System for this, of which Crusader Kings is Rated as Four Stars, the second highest possible score from the Game Reviews Team. Blood Bowl was one of the most successful PC games of the past twenty years and was the winner of countless awards across the gaming world and a new edition of this game has been highly anticipated for some time. 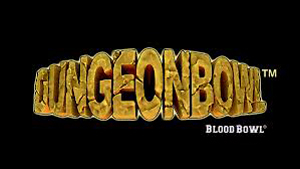 Now we see the second installment of the series landing right before us in the shape of Dungeon Bowl which is like Blood Bowls crazy brother as it offers so much more than the original. The team at Cyanide games have kept in all the main features of the previous game but managed to add features that we would have never of imagined and this makes the game absolutely stunning. The game is filled with fast paced action that will literally blow your socks off right from the word go as it is completely captivating and the game play is sensational. Cyanide have also done a phenomenal job on the graphical side as Dungeon Bowl provides one of the most visually stunning experiences of any game from this genre we have ever seen. If you loved the original then this game is going to be like a dream come true as even thought here was hardly any faults with Blood Bowl this game is flawless and definitely one of the best we have ever played. We have compiled a Review System for this, of which Dungeon Bowl is Rated as Five Stars, the highest possible score from the Game Review Team. World of Tanks is the military strategy game that everyone has been talking about as it provides something never before seen in a game from this class and it is completely revolutionary. World of Tanks offers its players the chance to experience the hustle and bustle of all out heavy armour warfare as you choose from over 150 world war two onwards tanks. Players must use these tanks to gain position over their opponents by deploying their forces in strategically thought out positions where you will be able to gain the advantage over your opponent. The game itself is very good and really interesting as we found that even with no real military strategy knowledge we could compete fairly well so the game was much more easy to enjoy. All of the tanks have a wide array of weaponry which comes in handy when you get into the full swing of the battle as choosing the right weapons for the job is one of the most important parts of the game. The graphics are very well created and really depict the setting of the game perfectly as it has a raw steel edge about it and we feel it is one definitely to watch out for in the near future. 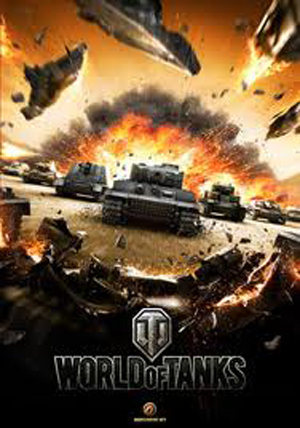 We have compiled a Review System for this, of which World of Tanks is Rated as Four Stars, the second highest possible score from the Game Reviews Team.